DiveJobs - Internship - Divemaster Trainees for the season 2019!!! Divemaster Trainees for the season 2019!!! 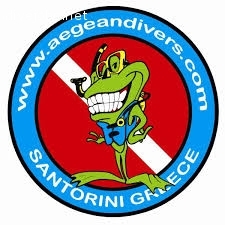 We are looking for six (6) motivated and enthusiastic candidates to participate in our Divemaster Trainee Internship in the 2019 summer season in the beautiful island of Santorini, Greece. All courses and training required becoming a Divemaster (fees and materials will be discussed with successful candidates). Opportunity to participate in Instructor Training Course (ITC) at the end of the season and become a Dive Instructor (fees and materials not included). Accommodation in the Dive Center’s facilities with a shared room and supply of shared kitchen (refrigerator, silverware, cooking stove e.t.c. ), bathroom, shower and laundry machine. Possibility to work full time with us after successful completion of the course for the high season, becoming part of our Staff. In our Dive Center you will join to all Diving Trips and Try Scuba Diving while you will dive minimum twice (2) every day and sometimes it could be more. You will have theory in the afternoons. In return we require your hard work and commitment to help maintain our Dive Center’s excellent reputation and customer service. You will always be the trainee and you will not have responsibilities into the water, until you successfully complete your course and be certified as a Divemaster. Required Language: English (other spoken languages would be appreciate it).